I have got a new bike and the mount as supplied with the DS-500 does not fit around the post. Do you have any recommended products of suggestions for this. In this case, you'll need to try clamping to one of the seat stays. I'd recommend around mid-way down, probably in the middle of the "red" decal on the RIGHT hand seat stay since I think traffic drives on the left-hand side of the road in Wales. Yours is also the reason why I'm developing the seat rail mount, which is still in the prototype phase at the moment. Let me know if you have trouble with the seat stay mount option? Thank. The seat rail mount looks like a good option. I can't attach it to the seat stays as they are very thin, but I found the bike was supplied with some cheap and junky lights and I was able to attach the DS to the seat post using a rubber strap supplied with that. Though I can't see the strap available on its own. OK, but just be super sure that the strap can handle the weighted load of the light (especially over bumps). I'd hate for it to come off while riding and cause an accident! Also, you might consider getting your hands on some Sugru. It's like this magic, moldable rubber that starts out like silly-putty and then hardens to a tough rubber. 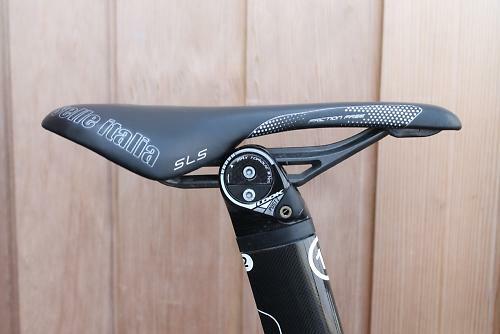 You could use it to make some spacers to fill the voids on either side of the seat stays, in essence creating a more "round" profile in the small section where you need to attach the clamp? Something to consider anyway.